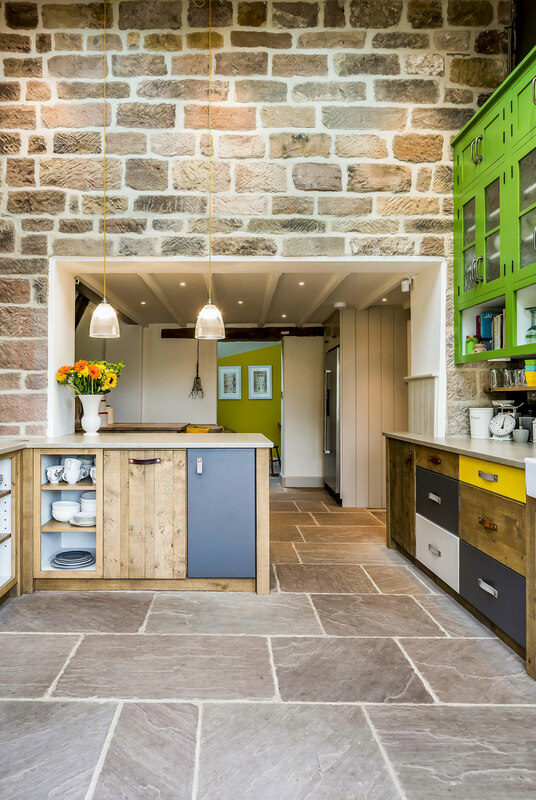 This colourful interior by Lovewood Kitchens features a number of our pendant lights, giving the country interior an industrial twist. 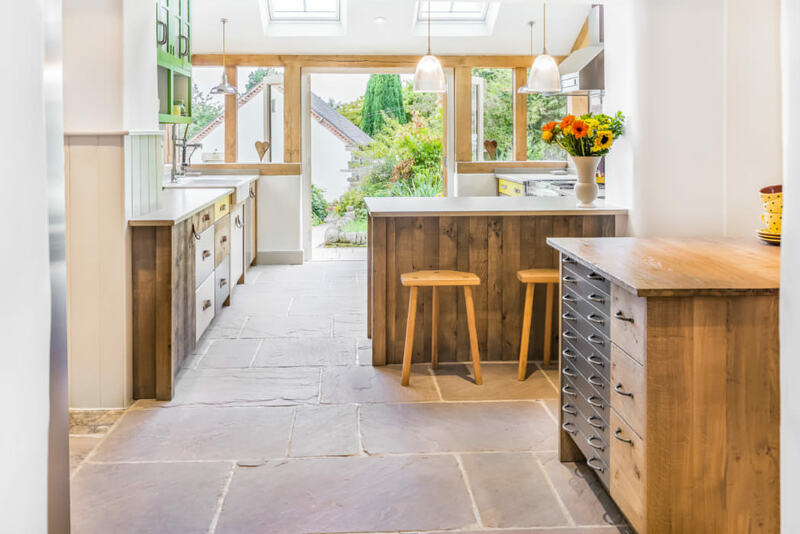 The open plan space features our Large Prismatic Pendant Lights hung over the breakfast bar in the centre of the room; this divides the kitchen, creating a well lit workspace, perfect for tasking. These glass fixtures work well within the vivid interior due to their neutral design. 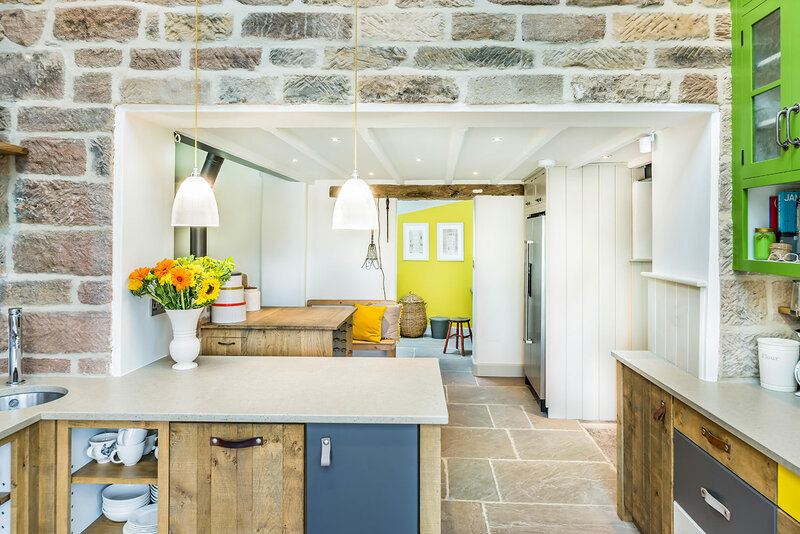 Wired with our cotton braided flex in Oriental Gold, the subtle pop of colour coordinates with the vibrant yellow accents around the kitchen. 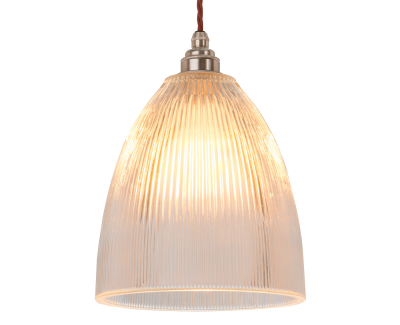 Also in the kitchen, our Coolicon Pendants, in an aluminium finish, hang either side of the room, lighting the counter. 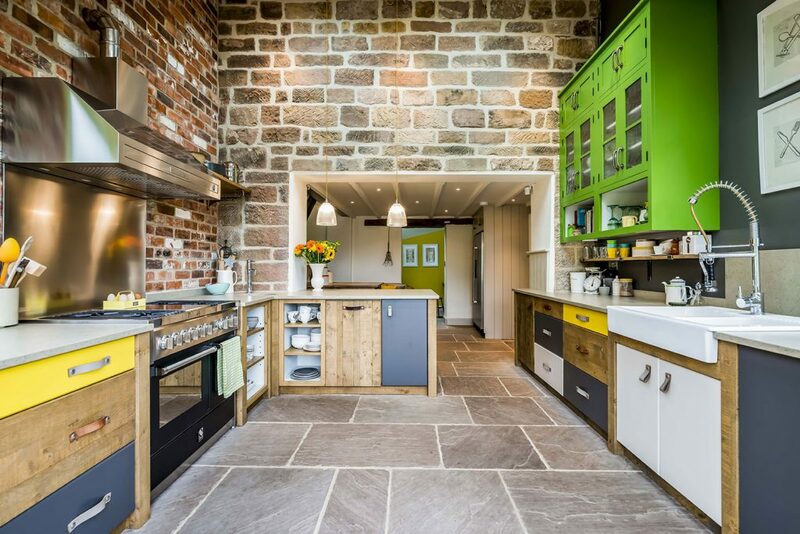 The chrome finish matches the stainless steel appliances, standing out against the bare brick walls. 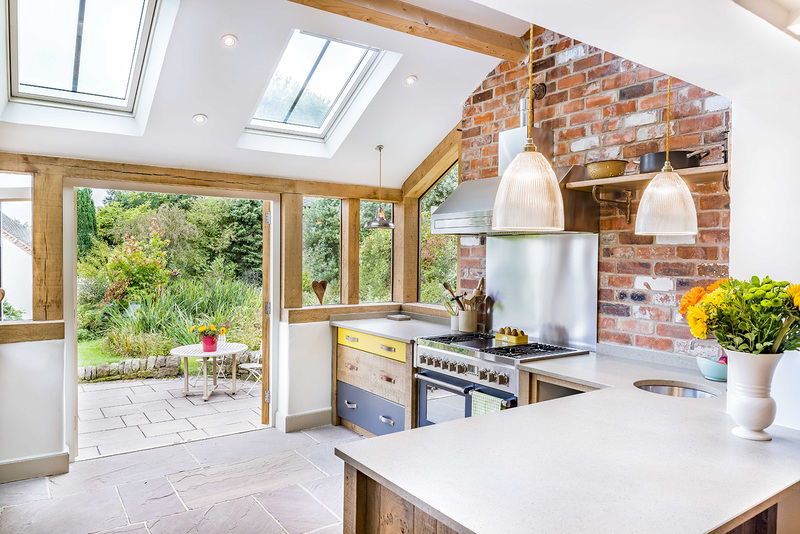 Adjacent to the kitchen area, one of our Supersized Coolicon Pendants is suspended over a dining table. 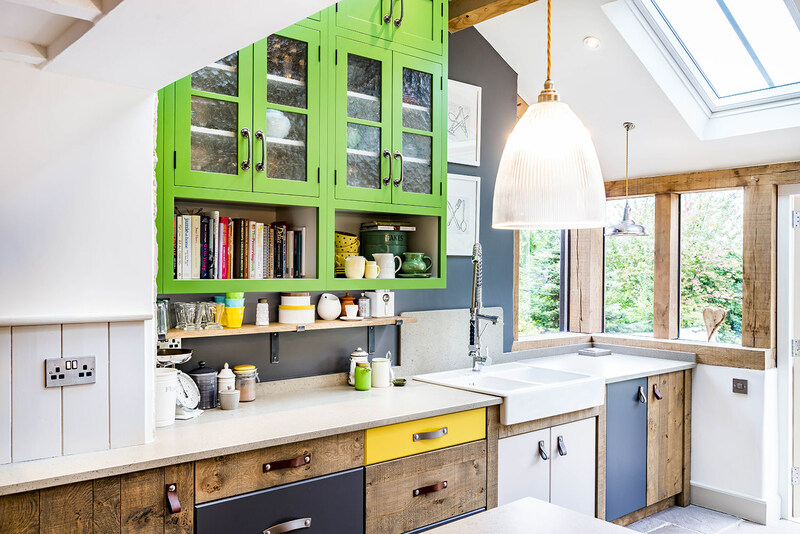 Finished in a custom bright green colour, the pendant matches the bold cupboards in the kitchen. The industrial inspired shade reflects the salvaged aesthetic of the furniture while maintaining the playful, farmhouse style of the space. 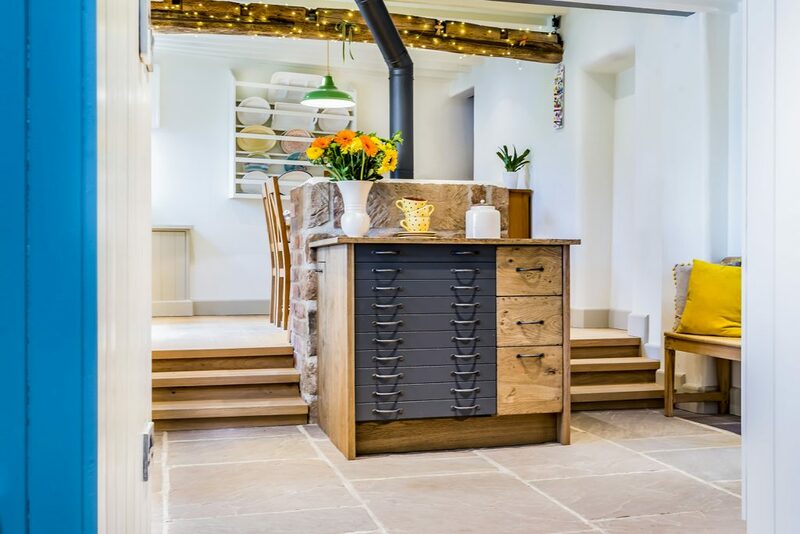 This patchwork interior uses both contemporary and vintage inspired elements to form a rustic, country style kitchen. Overall, the combination of textures including glass, brick, chrome and various woods, contributes to the styled yet relaxed home.